PHUKET: Two Phuket police officers have been transferred to a training academy in Surat Thani amid an investigation into why they were allegedly providing private protection services for a hotel executive in Patong. Patong Police Chief Col Anotai Jindamanee confirmed the transfers, which are effective immediately, this morning (April 2). The transfers followed Lt Col Surasak Peungyeam, Deputy Commander of the 25th Military Circle, accompanied by Sub Lt Wattanachai Klongpradit, also of the Royal Thai Army 25th Military Circle, filing a complaint in person about the officers at Patong Police Station at 8:30am today. “Provincial Police Region 8 Chief Gen Sorasak Yenprem ordered to find out the facts about these two policemen,” Col Anotai said. 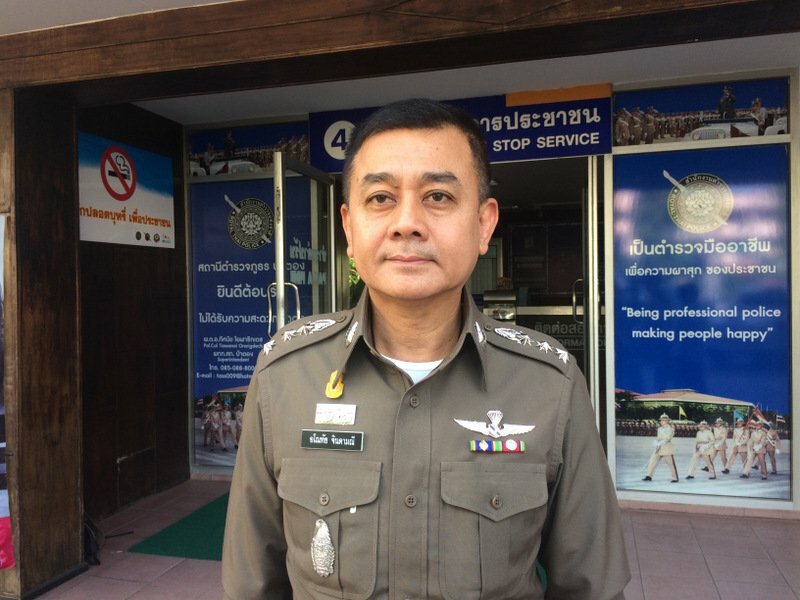 “The two officers have now been transferred to Region 8 Provincial Police Training Centre in Surat Thani,” he added. 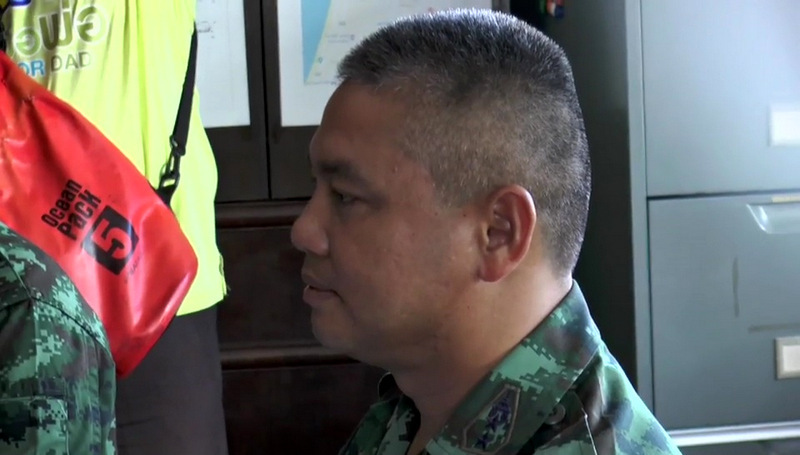 Col Anotai and Patong Police Deputy Chief Lt Col Jetsada Seangsuree received the complaint, which stems from the officers’ role in serving the hotel executive, who is now to face formal charges of defamation against the Royal Thai Army over a video posted on YouTube. 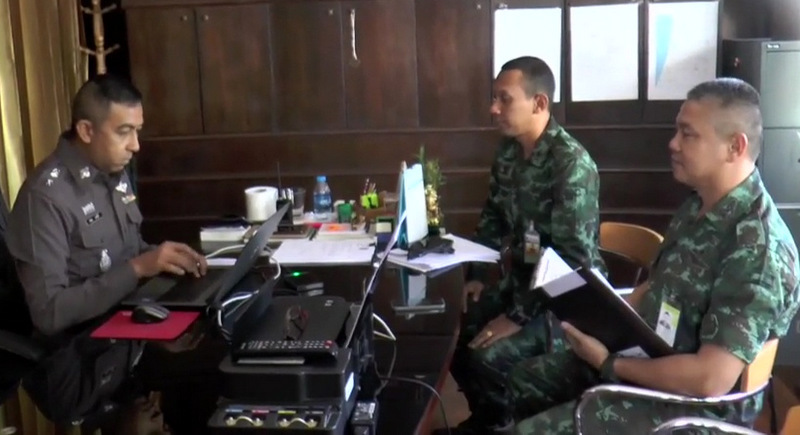 The video shows a meeting of Sub Lt Wattanachai with the hotel executive last Tuesday (on Mar 27) that has now led to allegations of extortion by soldiers, and the army’s retaliatory claims of defamation. The talks with the hotel executive were initially intended to focus on the allegedly unfair dismissal of a hotel employee. The video was posted after the meeting on Mar 27, and Lt Gen Piyawat Narkvanich, Commander of Royal Thai Army Region Four, publicly confirmed yesterday (April 1) that he had formally requested that the two police officers be transferred after Col Surasak pointed out that the two officers were accompanying the hotel management figure concerned in a “protection” role. “Right now we are investigating the clip, which was posted on YouTube by ‘Cheng Yeap C’ on March 28,” Col Anotai said. “We are continuing our investigation [into the incident]. We have to find out the full facts to be fair to both the Royal Thai Army official and the hotel management,” Col Anotai noted. Previous comment made me chuckle, "no reputations left to be tarnished" how true. Just get rid of RTP and let the army take over, simple solution to nearly all the problems. To teach their tricks to other RTP officers? Not exactly a NCPO aim. Is itn't ? As has been suggested before many times, it does seem the only way to clean up the RTP is to disband it completely and start again from the ground up.